Solid vs. Engineered - Which is Right for You? Engineered vs. 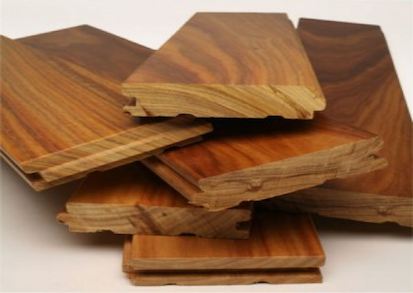 Solid Hardwood: Which One is Right for You? Both are beautiful, both are natural real wood floors with all the beauty you expect of hardwood. But there are differences that could make one better suited for your needs. More than half of hardwood flooring sold in North America is now engineered. And there’s good reason for that. 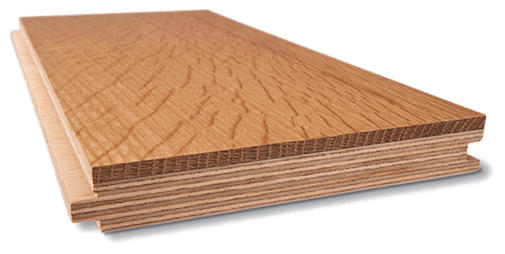 First is price – engineered wood is less expensive than solid wood. Second, it performs better because it is more dimensionally stable and less reactive to moisture and temperature. That’s because its cross-ply construction (like plywood) gives engineered floors more stability and makes them more resistant to moisture. This allows engineered hardwood to be used in a wider range of settings – even in the kitchen. Plus, regional differences in new home construction (particularly over concrete slabs) make engineered wood floors even more popular among builders and homeowners alike. Engineered floors are rotary peeled, meaning they rotate on a type of lathe where a blade slices off thin veneers of wood that are cross stacked and glued together much in the same way plywood is constructed. That’s what provides the dimensional stability. At the same time, surface veneers – the face of the floor – are typically milled from better quality woods. 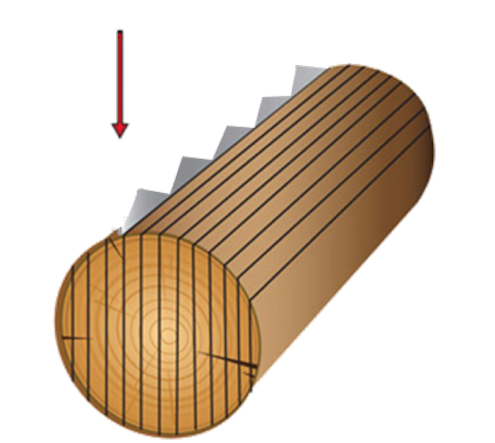 This increases log yields allowing the use of cheaper wood for the core of the product and better quality woods for its surface without sacrificing performance. This is especially true for exotic and more expensive species. But make no mistake, engineered hardwood floors are real wood through and through. As with all flooring, quality is always a consideration, especially for some of the very thin profile engineered products. Avoid those very thin, inexpensive options. Instead, opt for a better grade engineered floor with the money you’re saving over solid. You absolutely will not regret it. When asked, most people say they would prefer a solid hardwood floor over engineered; that’s because the perceived value of solid wood is higher. While generally more expensive than engineered hardwood flooring, there is something inherently beautiful in a solid wood floor. Solid hardwood floor is a natural product without glues or additives (beyond stains and wear layer) and is very environmentally friendly since most North American hardwoods are harvested from sustainably managed forests. 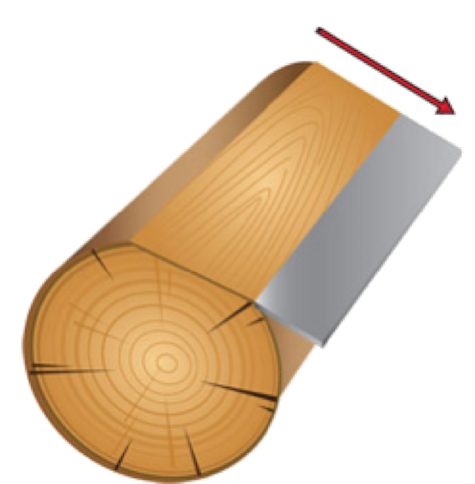 Solid wood is used mostly throughout the Northeast and more northern climates. A lot of it has to do with building techniques. In other parts of the country, concrete slabs are used which favor the use of engineered hardwood. No matter where you are though, solid is often offered as an upgrade. Among the advantages that solid wood floor offer are than they can be refinished several times since the face is thicker that it is on most engineered wood floors which can only be refinished a few times, depending on the thickness of the veneers. Solid or engineered, either choice is an environmentally safe one. Most hardwood floors are sourced from responsibly managed forests and many carry the Forest Stewardship Council (FSC) seal. 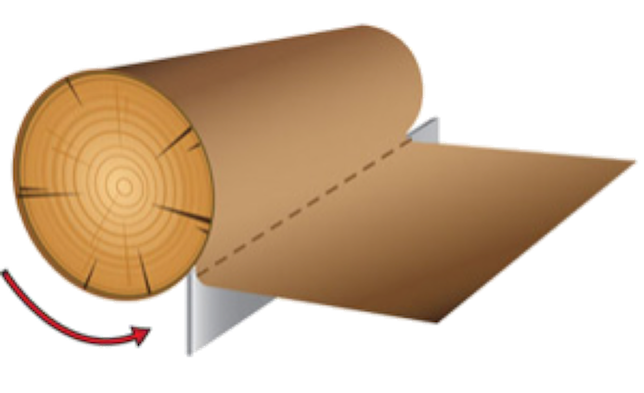 Engineered products have a slight sustainability advantage in that they offer higher yields per tree with less waste. One advantage solid has is that no glues are used in its construction. 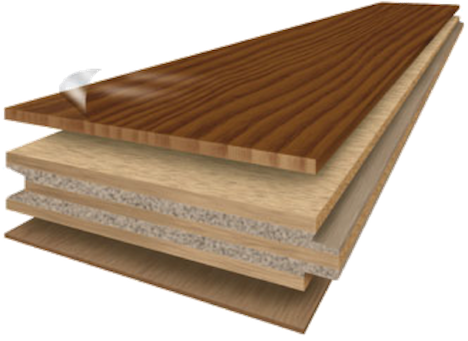 Glue often has formaldehyde as an ingredient although there are formaldehyde-free engineered floors (or any floor, for that matter). Products that carry the Forest Stewardship Council seal are responsibly harvested.